It is my pleasure to recommend Stock Services, Inc. as your contractor of choice for numerous construction projects and site services work. The quality of their work, expediency and proper execution and conduct are paralleled by few to none in their field. 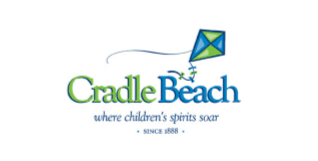 Cradle Beach is fortunate to have such allies that understand the mission of Cradle Beach: to serve, help and guide economically disadvantaged children and those with special needs to grow and help them reach their full potential. During work on our GEICO Woodland Lodge, I worked with Mr. John Stock and his son, Jeremy, as they prepared the building site and areas for utilities and services. Their cooperative spirit transferred to other work crews on the project making the entire project move smoothly. A nearly 1200 foot, unforeseen change in plans caused a significant adaption of the electrical power needs as the project developed. Their on-site leadership and ability to rally workers from all fields made this sudden change in plans move along quickly, taking care of the change in just a few short days, keeping the project right on schedule. Stock Services has also tended to many, much smaller, projects on the Cradle Beach property. Each time, they have taken the time to thoroughly research, explain our options and then safely and quickly complete the job. And their help goes beyond just physical work. At times I have called either John or Jeremy for advice, or about equipment maintenance and they have taken the time to either thoroughly explain a solution, or in fact, visit to be sure that we were going to get the right information. It is from their very ethical, professional and safety minded approach that I highly recommend, without hesitation, Stock Services for work on your project. Their quality skills, personable demeanor and overall professional, high quality work will provide for a superb final product. As the Resident Engineer on The Buffalo Niagara Medical Campus Gateway Project Phase 1, am pleased to write this letter of recommendation for John Stock. John and worked closely together for the year and a half length of the project. John came to the project with an obvious career’s worth of construction knowledge. John showed remarkable ability to assess what the project sought and immediately lay out plans to accomplish it in an efficient, economic and professional manner. His knowledge of coordinating operations to fit critical path needs was always successful on our project. John manages his people, equipment and material masterfully. it was evident John studied the plans and specifications prior to the project which gave him an ability to speak on any aspect of it if asked. When asked or confronted with any part of the project John was always prepared. Never confrontational John speaks clearly and confidently. If John does not have an answer to question he is quick to research and get that answer. John brings to the job not only expertise but care and pride. He speaks with everyone he works with; with good humor and respect that keeps morale high. if you would like additional information about John please call me at 716-799-4970. During the Summer of 1983 in Angola, N.Y., I represented Hunt Engineers, P.C. as fieldrepresentative for sewer main installation and road rebuilding of which Stock Services performed all the work. After spending thirty four years in the field, I find it is seldom I can write a letter of recommendation; however, it is my pleasure to express that Stock Services performed in a professional maner. The workmanship being high caliber, blended with their expeditious performance. Therefore, I would highly endorse the engaging of Stock Services. THIS LETTER IS IN REGARD TO THE ABOVE LISTED PROJECT AT BUFFALO AIRFIELD. I AM TAKING THIS OPPORTUNITY TO THANK YOU FOR THE PROFESSIONAL AND TIMELY MANOR IN WHICH YOU COMPLETED OUR PROJECT. ALL TOO OFTEN WORKING WITH SUB-CONTRACTORS (WHICH WAS YOUR CAPACITY UNDER FREY ELECTRIC ON THIS PROJECT) RESULTS IN COMPLICATIONS AS TO WHAT THEIR RESPONSIBILITIES ARE UNDER THE CONTRACT WITH THE GENERAL CONTRACTOR. FORTUNATELY THIS WAS NOT THE CASE AT BUFFALO AIRFIELD. ALL REQUESTS MADE AS RESIDENT ENGINEER ON SITE, DIRECTED TOWARD YOU AND YOUR CREWS WERE TAKEN CARE OF VERY PROMPTLY AND WITHOUT REGARD AS TO "IS THIS UNDER MY CONTRACT". FOR THIS I COMMEND YOU AND LOOK FORWARD TO OPPORTUNITIES TO WORK WITH YOU IN THE FUTURE. THANK YOU JOHN; FOR JOB WELL DONE! Whereas the Town of Evans Water Department has been dealing with S. Stock Services for the past 25 years, we would highly recommend them as very professional and reliable company. S. Stock Services has done numerous jobs for our Department, mainly waterline construction and repair, we have found that John Stock has followed in the family tradition of quality and pride in their work. 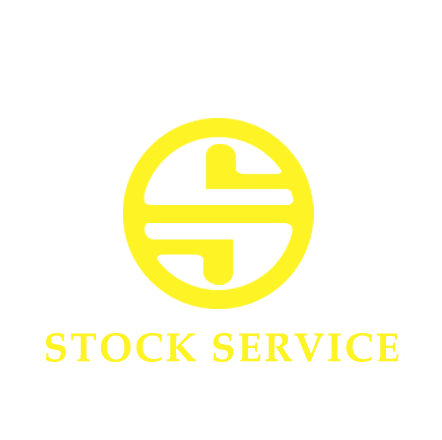 We have always had good working relationship with S. Stock Services and look forward to working with them again in the near future.